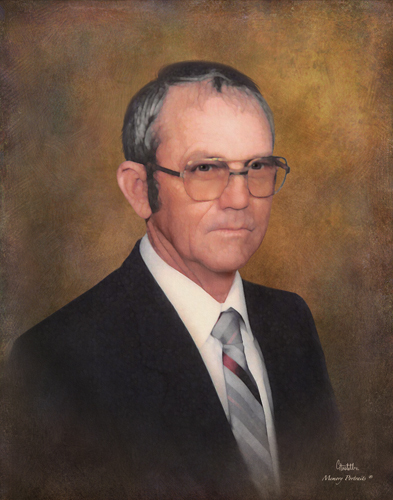 J. C. Efird passed away on Tuesday, February 5, 2019 in Alice, Texas. He was 83 years old. J. C. was born on March 30, 1935 in Stairtown, Texas to Mary Clementine and Marcus Robert Efird. A loving husband, father, grandfather, brother and friend, he enjoyed spending time outdoors, hunting in Colorado, Utah and New Mexico, and he especially loved riding horses at the ranch with all of his grandchildren and great-grandchildren. He was a member of Morningside Drive Church of Christ since 1969. He retired from Schlumberger at the age of 65 and then worked for 10 additional years as an oilfield consultant until his second retirement. J. C. was preceded in death by his parents. He is survived by his loving wife of 62 years, Pearlie Efird of Alice, Texas; two children, Robert (Cindy) Efird of Cypress, Texas and Cheryl (Mike) Riff of Corpus Christi, Texas; five grandchildren, Phillip (Sandy) Efird of Farmington, New Mexico; Ashle (Jan) Aligno of Corpus Christi, Texas; Haley (Eric) Galyean of Cypress, Texas; Justin Riff of San Antonio, Texas and Shannon Riff of Corpus Christi, Texas; five great-grandchildren, Josiah, Luke, and Bonnie Efird; Eric Galyean, Jr., and Olivia Aligno; one sister, Lenora (Leonard) Hourie of Sinton, Texas; one brother-in-law, Jimmy Skalitsky of Donna, Texas; three sisters-in-law, Alice Edwards of McAllen, Texas; Jolene Neighbors of New Braunfels, Texas; and Laura Johnson of Corpus Christi, Texas. The family wishes to express their thanks to staff of Doctor’s Regional Hospital, Meridian Care of Alice and River City Hospice for their compassionate care of J. C.
Visitation will begin at 9:30 a.m. on Monday, February 11, 2019 at Holmgreen Mortuary Chapel. Funeral Service will follow at 10:00 a.m. on Monday, February 11, 2019 at Holmgreen Mortuary Chapel. Interment will be held at 4:00 p.m. at La Grange City Cemetery in La Grange, Texas. Pallbearers will be Phillip Efird, Justin Riff, Jimmy Skalitsky, Jan Aligno, Eric Galyean, and Mike Riff.